The fight for freedom never takes a break. 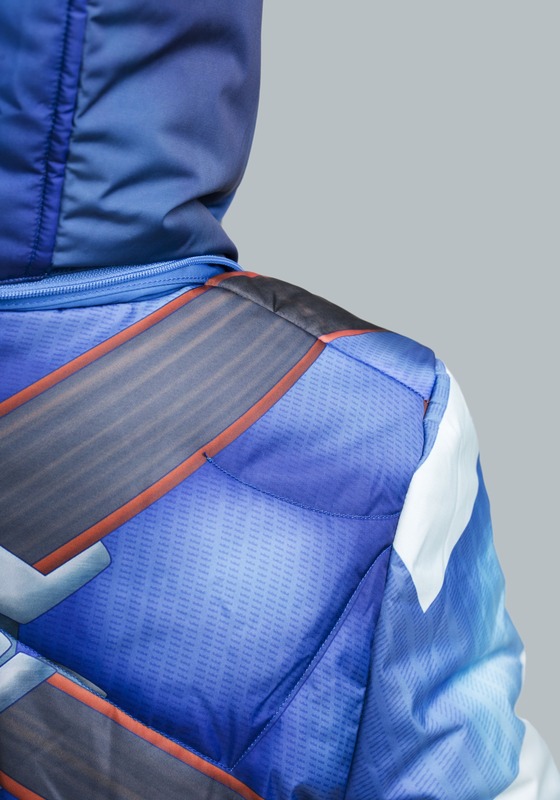 A few snowflakes or a chilly breeze won't stop villains from plotting their schemes, so a hero needs to be ready to stop them in any weather, in any climate, in any location! 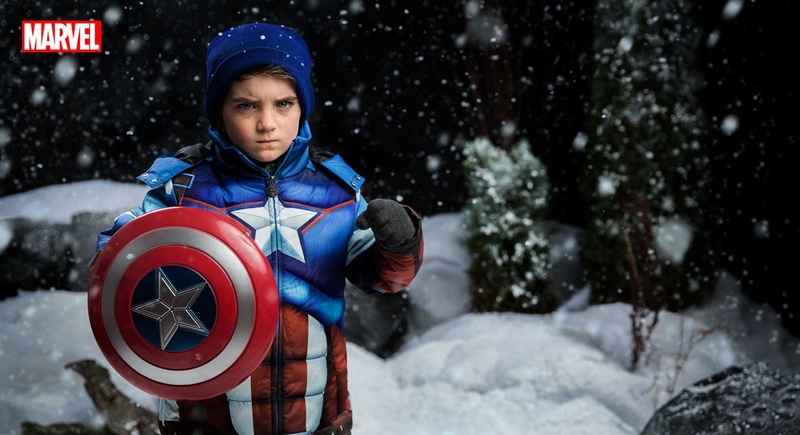 Yes, a hero should be prepared to fight evil, even if that means heading out into the cold. Of course, preparation is key. 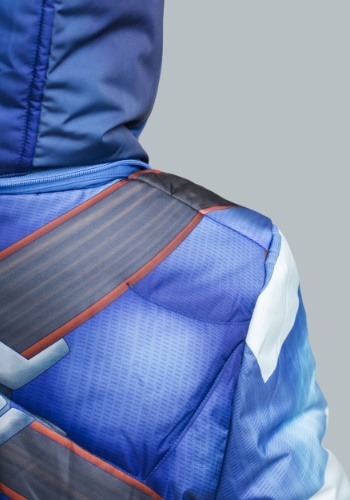 Being prepared with the right equipment is something Steve Rogers and S.H.I.E.L.D. know all about. This specially designed Captain America puffer jacket for kids is the standard issue winter gear any budding super soldier needs. The exterior has dynamic, printed features, like a white star on the chest and printed stripes on the front that faithfully recreate Captain America's suit from the classic comics. 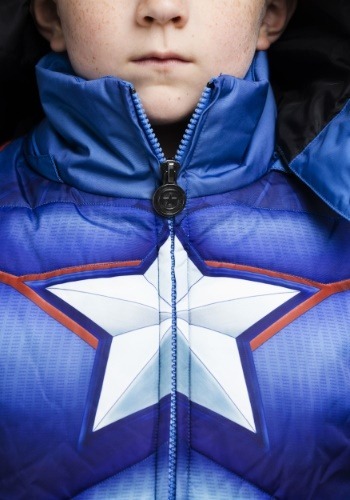 The hood has the printed wings seen on the side of Cap's mask, while custom debossed buttons show off Cap's shield, as does the custom zipper pull. 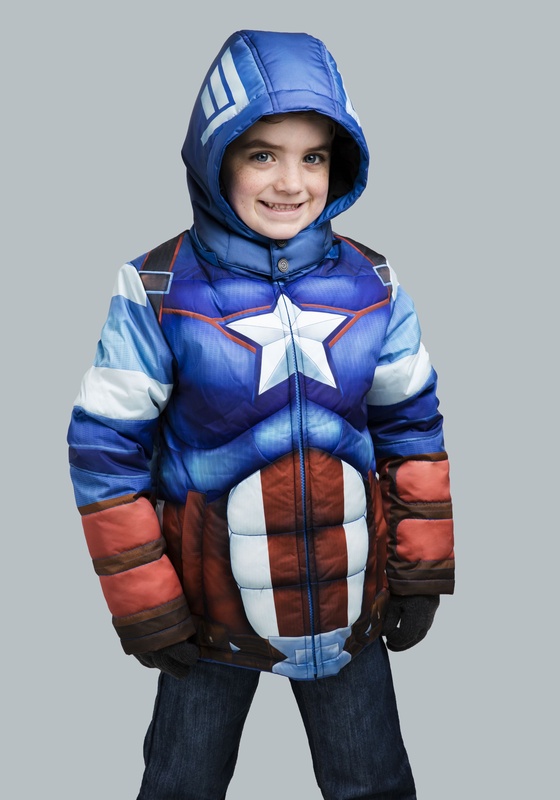 The coat even has a set of muscles stitched right into it, giving any child the look of a super soldier (without that risky experimental serum). 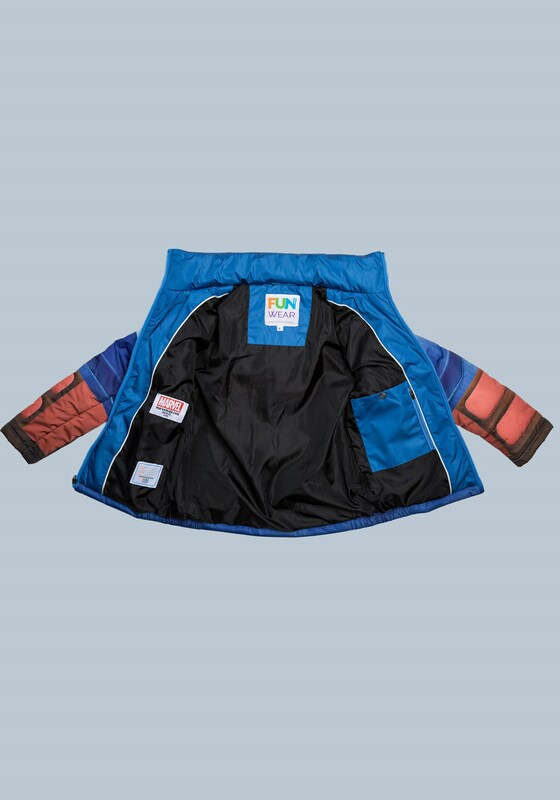 A thick lining also makes it the best means of protection a kid could have when it comes to fighting against winter's worst. Your child will finally be able to harness the power of Marvel's greatest leader to take on winter's challenges as a true hero! 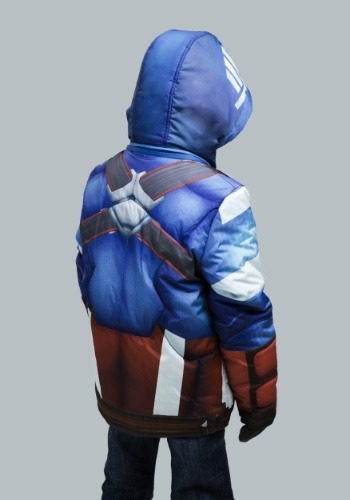 Whether that means battling against the Winter Soldier, or just winter in general, all he needs to do is gear up in this coat and show the snow what he's made of. Front custom Captain America zipper pull.